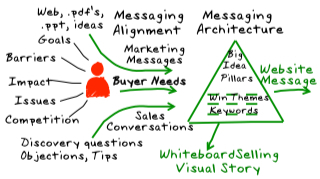 The marketing messaging used in Websites and Blogs to drive Inbound Marketing leads, must be used to drive sales conversations with the gamut of prospects and customers, without salespeople having to translate it or figure it out themselves. Introducing new high technology and green technology products or services or getting an acquired company’ products sold through an existing sales team is a challenge for entrepreneurs in early stage companies and sales and marketing leaders in more mature companies. We have had both as clients, however I’m always astonished to see smart people doing really dumb things with their own and their investor’s money. There are a few telltale signs of a struggle going on inside an organisation. This is a struggle to find new prospects and to improve sales and marketing performance, accompanied by lots of hand-wringing and pointing blaming fingers at each other. The first clue that there are problems is the corporate Web-site. The company’s Website, which is without a doubt the company’s most valuable asset (after its people), very often looks like it has been written by the product management team. Often densely packed, with no white space; or sparse with nothing to engage the accidental visitor other than “product-speak”= meaningless features and benefits and gobbledygook. Pay-per-click is used to generate inbound leads and is fast burning investors cash. The second clue, is that the sales team is tasked with making cold-calls to generate their own leads; and the company is wasting money on external telesales teams to generate appointments that hardly ever convert. We are marketing and selling in the Internet age and in 2009, buyers don’t want cold calls and junk email from suppliers to introduce them to their latest widget….yet strangely we see telemarketing companies thriving and a die-hard group of cold calling sales trainers and promoters who are championing an obsolete way of doing business. I believe that in all high-tech and green-tech companies, sales and marketing should be united and aligned under one leader. A sale starts with an inbound visitor and it’s the role of marketers to generate inbound visitors that convert into leads. Sales and marketing teams need a universal way of defining leads and engaging prospects around their buyer-persona; one language from the Website to the sales person's lips that engages buyers around how their products or services are used by their customers to create value; the messaging reinforced by high value video testimonials, keyword rich blogs, case studies, Webinars and sector relevant white papers and E-books that pull in prospects. 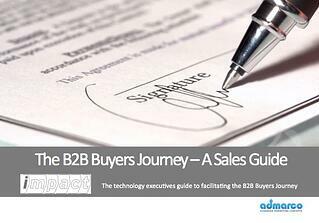 Are Salespeople Needed in Selling SaaS Solutions? In the past couple of weeks I have spoken to three entrepreneurs who have created, or are creating SaaS solutions to serve very specific needs for a well-defined market opportunity. In conversation it emerged that none of them were planning on having any sales people in their business. The thinking here is that since the products are so strong and the market need exists, by offering a free trial, the prospect will learn to use and love the product and convert into a customer; all without needing a human touch. Who needs sales people anyway? This approach is similar to the "Field of Dreams" (if you build it, they will come) strategy; popular with entrepreneurs who are long on product engineering skills but underestimate the importance of marketing and selling in the lifecycle of successful products. This attitude has led to the premature death of many killer-products. Now let me say here that I would not advocate putting a salesperson in the way of a buyer who was motivated to buy and did not require interaction with a salesperson. Dell recognized this desire early on and enabled people to self-serve PC’s and Laptops nearly ten years ago and cut billions out of their cost of sale. Dell had a couple of things going for it that early stage SaaS companies don’t; - brand equity and market dominance in a mature buying category. The buyer knows what they want and it's really a matter of what color and how many. The market price is established and the vendor offerings are within an acceptable range. What is Value-created selling and why does it matter? 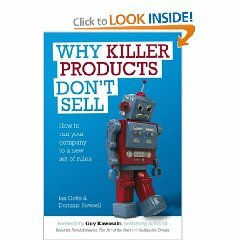 "Why Killer Products don't Sell" is a revelation and MUST READ for technology sales and marketing leaders for a number of reasons. 1. Firstly, there is original thought in the analysis of the buying cycle and the lifecycle of every purchase in the buying organization. 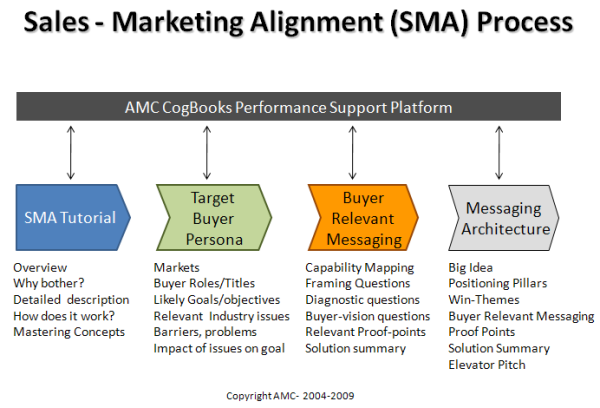 The authors state and I agree that every purchase follows the I-M-P-A-C-T ( Identify - Mentor - Position - Assessment - Case - Transaction) process, the difference is that in a mature buying category, this can happen in a couple of minutes for acquiring a "value-offered" product (Dell Laptop), vs. months for an emerging buying category "value-created" = your discontinuous technology. 2. The second key idea is that there are four different selling cultures, depending on the maturity of the buying category. This indeed explains why so many "proven" sales-people and sales managers from well known corporations (value-added or value-offered) fail in early stage companies where the buying category is still being formed (value-created) and a consultative sales approach is required....this is worth the price of the book alone. 3. The imperative is for sales teams to understand where they are in the technology adoption life-cycle in order to more effectively facilitate the buying process; and for technology sellers to align their organizations operational cultures to match the buying cultures of their target markets. Dominic Rowsell and Ian Gotts have made a valuable contribution to a growing body of work in the science of professional selling. 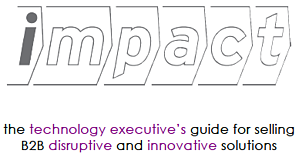 We have spoken with both authors and with their permission will be integrating the IMPACT concept and ideas from their book into our Consultative Selling Training courses and E-Learning programs.